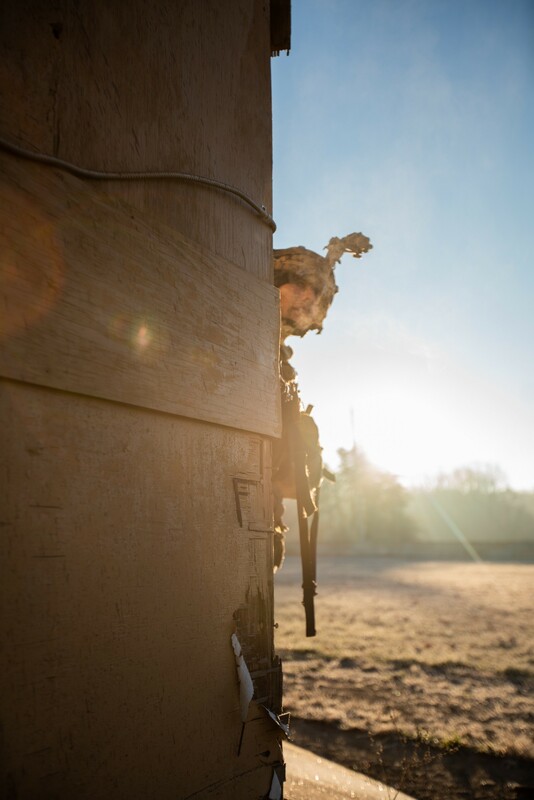 Readiness is an Army priority, and training like this prepares Soldiers for various current and future threats. 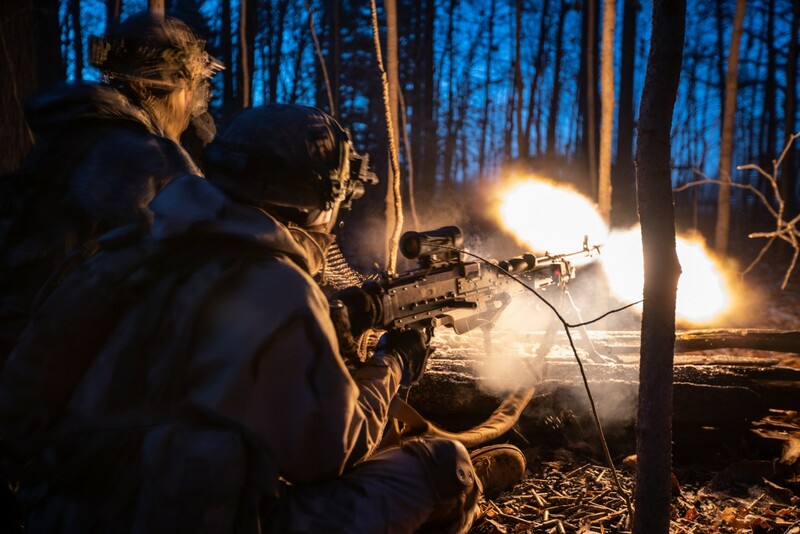 Such training recently took place at Fort Campbell, Tennessee, Fort Knox, Kentucky, and the Muscatatuck Urban Training Center (MUTC) at Camp Atterbury, Indiana. "We're training for a near peer threat," said Cpt. Vincent Shaw, commander, C Company, 1st Battalion, 187th Infantry Regiment, 3rd BCT, 101st Abn. Div. "Anywhere that is similar strength and capacity as the United States." This training starts at the lowest unit level. Each company in the brigade meets its training objectives, then battalion exercises bring those companies together. Once battalions meet their training goals, a brigade exercise unites the battalions. This exercise was that culminating brigade event for 3rd BCT. "To prepare for this operation, my company did the normal routine training - the squad live fire and the [tactical exercise] lanes," said Shaw. 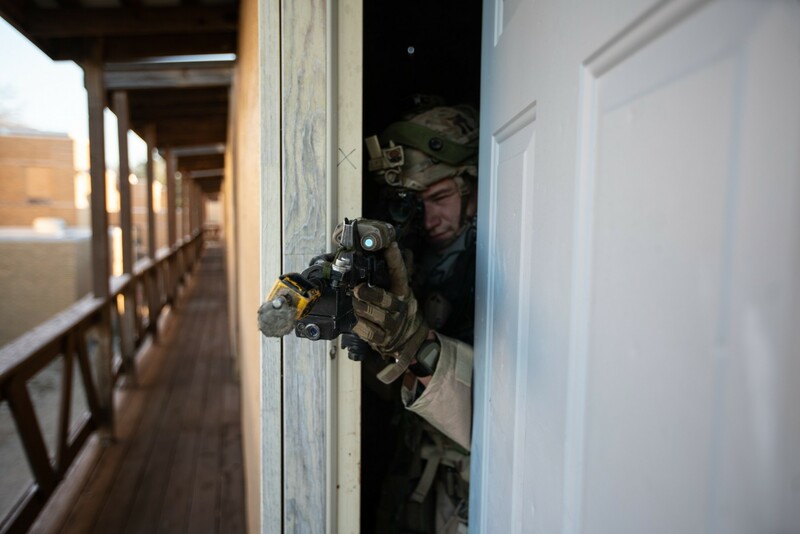 "We also had the opportunity to train with 5th Special Forces Group to practice entering and clearing rooms." 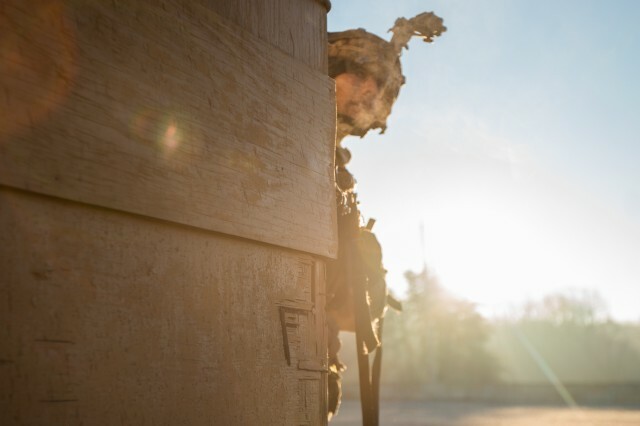 The training at Fort Campbell focused on units conducting operations for a prolonged time period. This training started with 1st Squadron, 33rd Cavalry Regiment scouts conducting a reconnaissance of the area. 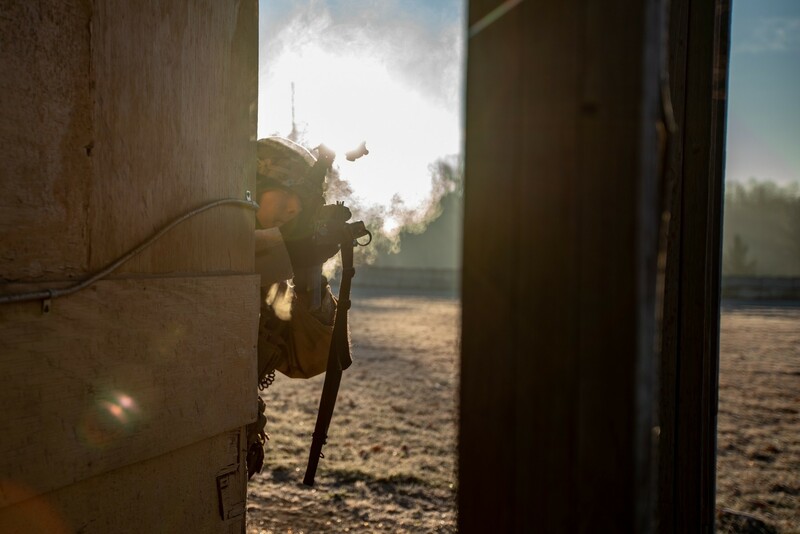 Elements from 2nd Battalion, 506th Infantry Regiment trained on maneuver operations in urban terrain at the Craig training village and Cassidy training site. The 3rd Battalion, 320th Field Artillery Regiment used helicopter sling-load procedures to place howitzers into firing positions. Meanwhile, elements from 21st Brigade Engineer Battalion built berms and conducted sustainment operations. The 179th Military Police Battalion assisted the engineers by operating controlled checkpoints along the roads. Simultaneously, at Fort Knox, Kentucky, Soldiers from 1st Battalion, 187th Infantry Regiment and 3rd Battalion, 187th Infantry Regiment operated in two separate areas of the installation to engage notional enemy forces on multiple fronts. While at the MUTC, the units practiced clearing multiple buildings and located a notional chemical weapon of mass destruction. Earlier this year, leaders from across the division went to a subterranean training class. This mission put the skills 3rd BCT leaders learned during this training to the test. "Subterranean training is important because it is everywhere; it is ubiquitous in every country," said Shaw. During the MUTC portion of training, the brigade used modern technology that will help in battle to avoid possible communication issues usually present when operating over large land distances. "Our [communications] are tied into an end user device phone, and I could see where our scouts were and they were able to pinpoint where the enemy was," said Shaw. "That drove a lot of our mission planning, which I thought was pretty neat, given the distance apart at which we were training." While Company C focused its fighting efforts on the ground, A Company focused on the tunnel system and the CBRN weapon. The brigade reconsolidated back at Fort Campbell after the MUTC portion of training to end the exercise and conduct a review of the training mission.